Mtn is here again with a new service which they call the mtn Xtra Byte. With the new MTN Xtra Byte, Eligible mtn customers can borrow data ranging from as low as 10mb to as high as 750mb and the equivalent amount will be deducted from your next recharge. I really see this new service introduced by mtn as a welcomed one. Am pretty sure some of us have been caught up in that situation where you suddenly run out of data while streaming a video, browsing or probably doing some assignments online and you don't have enough airtime to subscribe with. But with this new MTN Xtra Byte, that wouldn't be an issue anymore as you can now borrow data on the go even if you don't have enough airtime to subscribe and pay back later when you recharge. but that's only if you are eligible for the service. ==> Your mtn sim must be registered. ==> Your account balance must be N12 or below. ==> You must have been active on the mtn network for at least 3 months. once all this 3 criteria has been met, dial *606*1# to check if you are eligible for the service. Below are the list of things to take note of before using this service. ==> You can borrow data not less than 10mb and not more than 750mb. ==> The Xtra Byte data will be loaded into your xtra byte account and not your normal account. ==> You can not borrow data multiple times without paying up your outstanding. 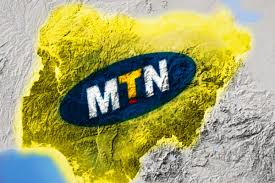 ==> You can not share borrowed data to other mtn numbers. ==> The equivalent of your borrowed data will be deducted from next recharge or share and sale airtime. ==> The expiration date will still be the same duration as the regular data plan. You can only proceed with the instruction below if you meet the criteria and your sim is also eligible. ==> Just dial *606*9# and follow the prompt. ==>You can always check your Xtra Byte balance by dialling *606#. NOTE: As most of you already know, mtn is just like a devil who will never give you anything without asking for something else in return. So as tempting as this service is, you will be charged 10% extra on every data you borrow. just like its done on the mtn Xtra Time.